If you use Quickbooks Desktop Pro as your Accounting Package, configuration will be required to map certain fields between Operate and Quickbooks that allow you to export the data successfully to the correct place within Quickbooks. In addition, a time will need to be scheduled for one of our tech engineers to install the Operate Financial Export file on the desktop that your Quickbooks resides in order for you to conduct the export. Go to Member > Accounts and find the Accounts ID column - This ID must match the Customer Name field in Quickbooks in order for the export to run correctly. You can export a list of the names from the All Products list view if you have to edit existing products in Quickbooks. Please ensure that both Operate and Quickbooks contain the same products list in order for the export to go through. Operate has to have GL Code field filled in on the Items/Products, to match the Quickbooks Item Account. 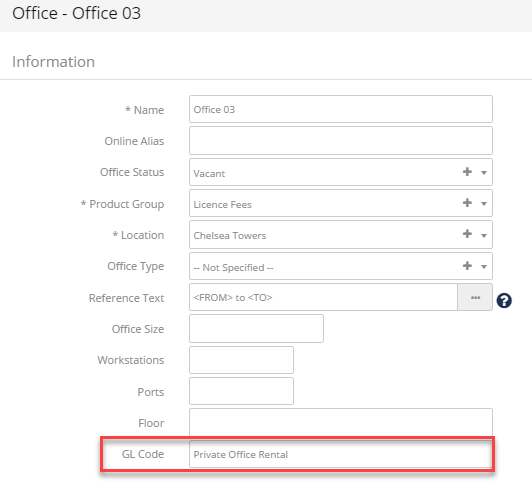 For example, if the Item Account name in Quickbooks is “Private Office Rental” – this is exactly what should be added to the GL Code field in the product in Operate. If you use sub accounts in your Quickbooks, the GL code field should be entered with a : separating. For example "Private Office Rental:41222". Please note that Quickbooks Desktop does not support subproducts, therefore you cannot use a semicolon within your Operate GL Codes. ⦁ And edit the Standard VAT / Tax Rate. ⦁ Even if you do not charge tax, you must turn on the tax settings in Quickbooks. 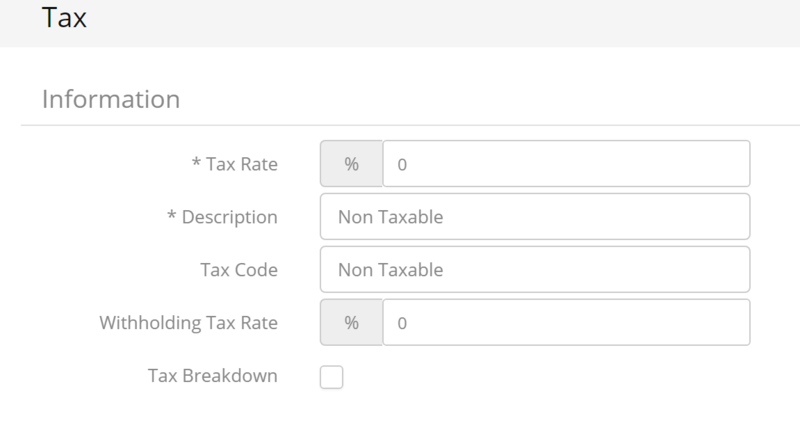 The Tax Code field in Operate that sits under Settings > Organization > Taxes will need to be set to match the tax codes within Quickbooks. If you are using exempt for example, the Tax Name is "Non-Taxable Sales", and the tax code you complete into the Tax Code field might be None. Step 5 - Payment Terms in Operate must match Payment Terms in Quickbooks. In Operate, go to Settings > General > Customize > Accounts > Standard Fields. Search for and then click to edit both the Payment Term and Payment Type fields. Step 6 - You then need to check that all your Customer Accounts have a Payment Term and Payment Type. You can easily check this by running a standard Operate report. Go to Reports and filter for the Account Financial Report. 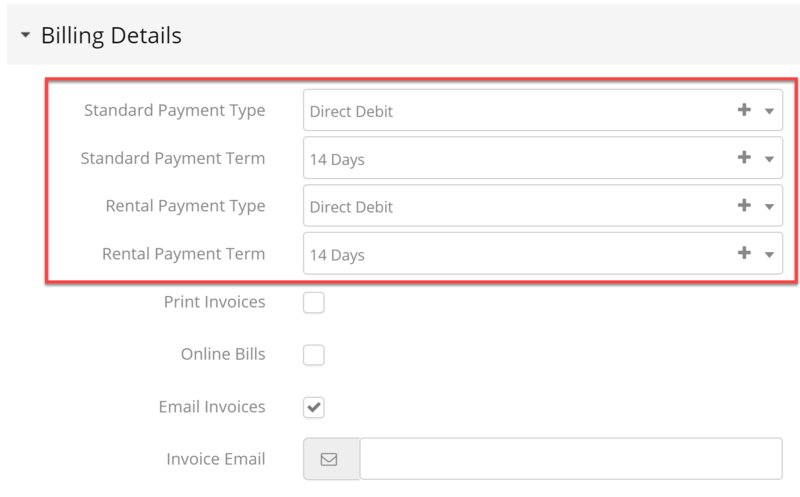 Run it and if a customer has a Payment Type missing, you need to add it To do this, go to Member > Accounts find the account to which you need to add a payment type. Edit the account and select standard/rental payment methods, under the Billing Details section. You can also update these fields by doing a bulk update from the Account list views under Member > Accounts. You may also want to talk to your Operate admin about setting up a workflow to make this a field update upon creation/edit of an Account record Type to ensure its never missed. Step 7 - Quickbooks needs to have Classes set up which match the Client Types in Operate. You will find all of your client types under Settings > General > Organizations > Client Types. Make sure that your Client Type Name matches a Quickbooks class. Step 8 - The Customer Types in Quick Books must contain the Operate Location names. The last step is to ensure you have the :Location Name from Operate set up within the Customer Types in Quickbooks. You will find your Operate Location names under Space > Locations.